Antonio Cromartie was a guest on ESPN’s First Take this morning, and he spouted off some wisdom on the Tom Brady suspension and the power that commissioner Roger Goodell is able to wield on a daily basis. Cromartie for one things Brady should have only been fined, and he believes that NFL players are responsible for Goodell having all the power. The players signed off on the collective bargaining agreement back in 2011. 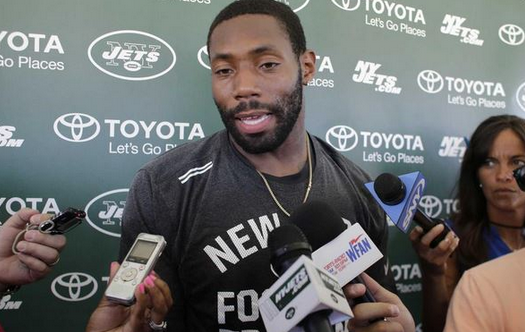 1/2 Cromartie critical of Roger Goodell on Brady situation: "Nobody is safe. No matter who you are, Roger will do what he wants to do..."
It’s clear that some players have grown tired of Goodell, and maybe they’ll address the commissioner during the next CBA negotiations, and not just the money.